Serve as a teaching resource in all content areas. Provide produce to culinary lab. Provide produce to the cafeteria. Promote the health and wellness of the students and staff. 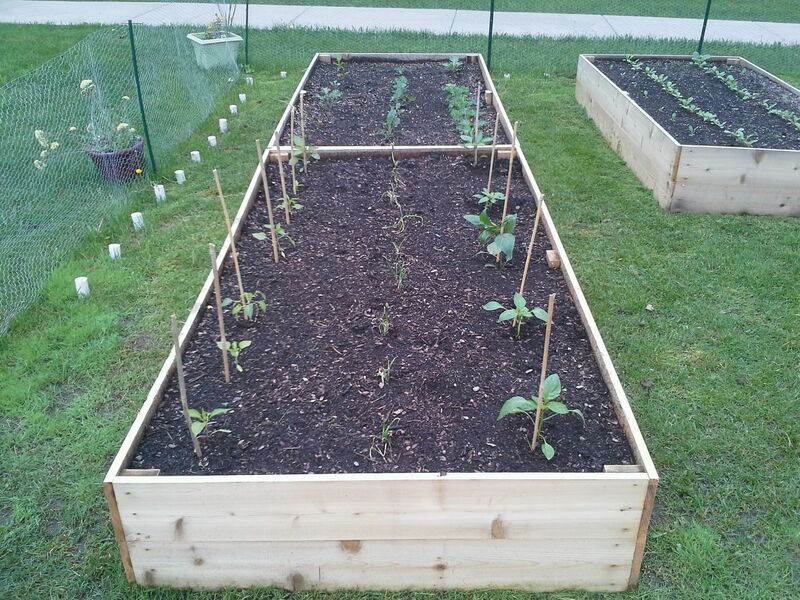 The bed in the foreground has peppers along the sides and onions in the middle. In the other bed, we planted kale, collards, and chard. The peppers have not had a the best growing conditions. Spring has been well below average for temperatures. 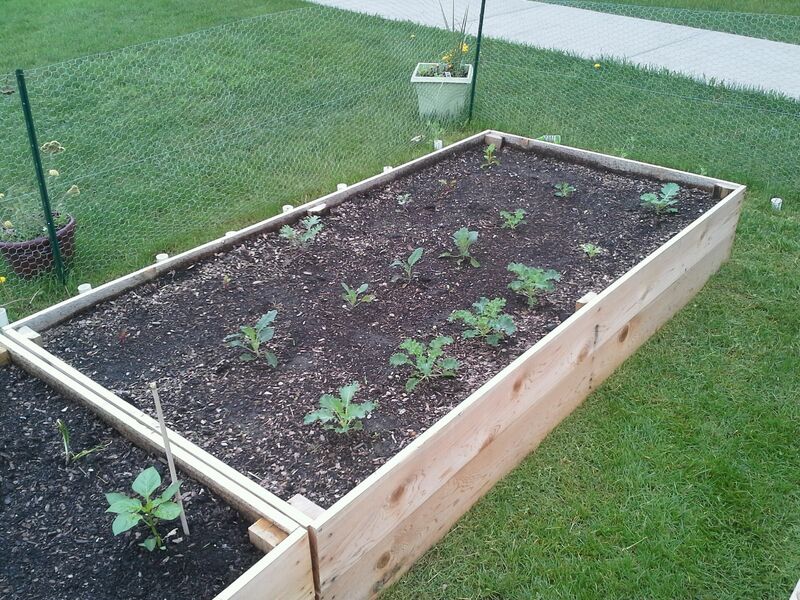 The closer bed has broccoli and tomatoes growing in it. I used hot caps to help my tomatoes get acclimated after they were transplanted. The hot caps are nice to use if you grow your own starts. My starts were tiny and sickly but they healed quickly with the hot caps. The tomatoes simply won’t grow if the weather is below 75 degrees. 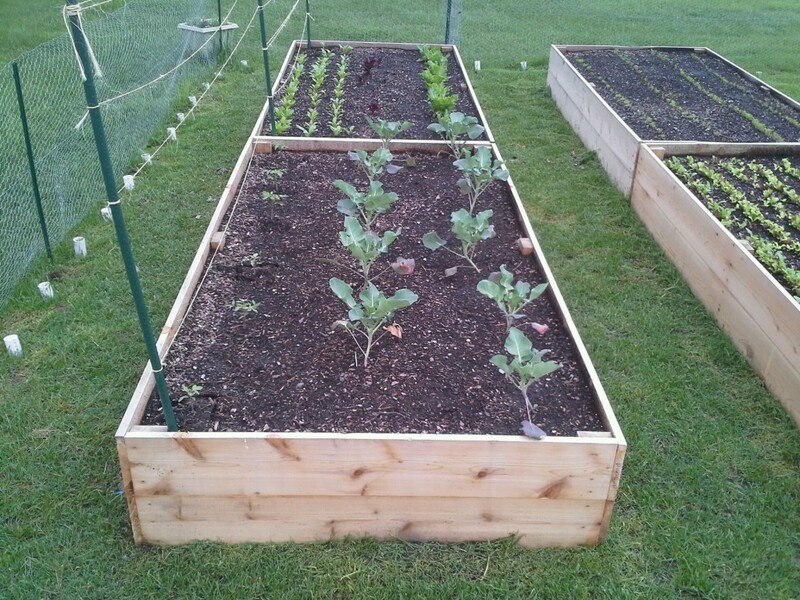 The broccoli, lettuce, and spinach are cool weather crops and look great. In the foreground, you see spring mix. 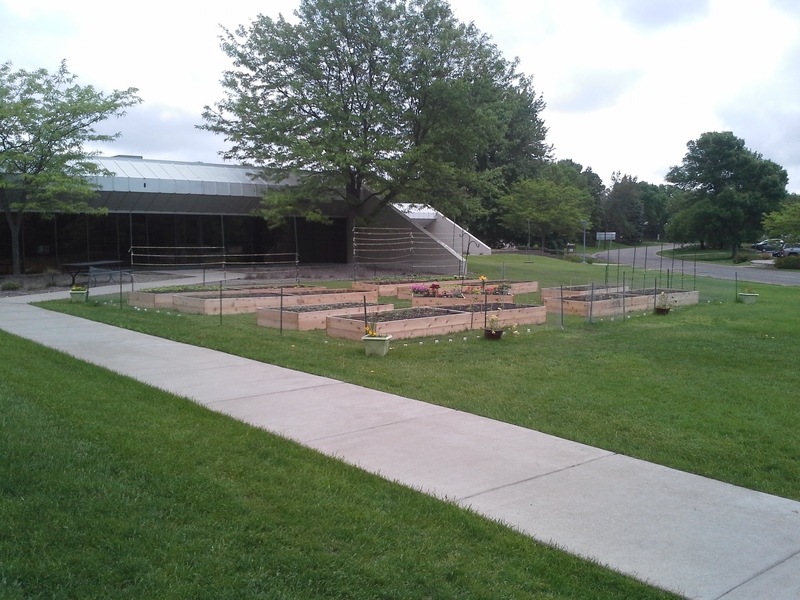 It will be ready for harvest, by the time Summer school starts on June 17. In the background, you see some carrot sprouts popping up. We only did 4 rows. I think we could have packed in 6 rows. You can see how healthy the green leaf lettuce looks. The red leaf variety has not done nearly as well. The spinach in the back is almost ready to pick. 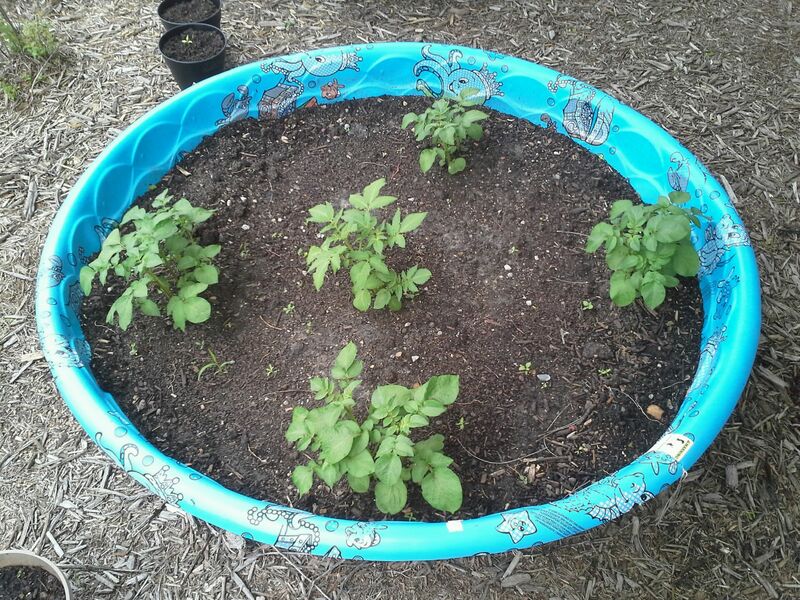 When I return to Summer school, we will plant the last of our tomatoes where the spinach currently sits. The trellis is about 7 feet tall and will support our tomatoes. More onions and peppers are planted in the foreground. In the background, there is a trellis that was constructed to support cucumbers. The cukes have germinated, but the cold weather has stunted their growth. 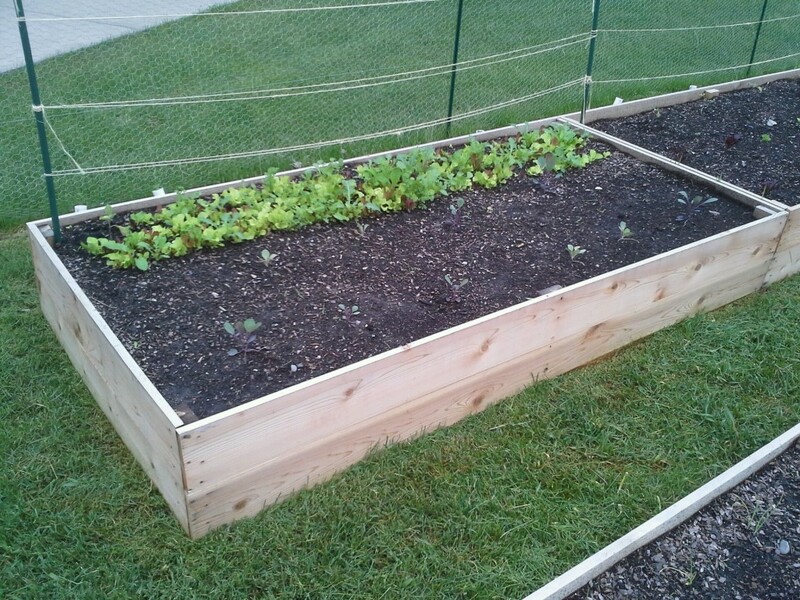 Here is a look at the kale, collards, and chard. We should be about 3 weeks away from the first harvest. 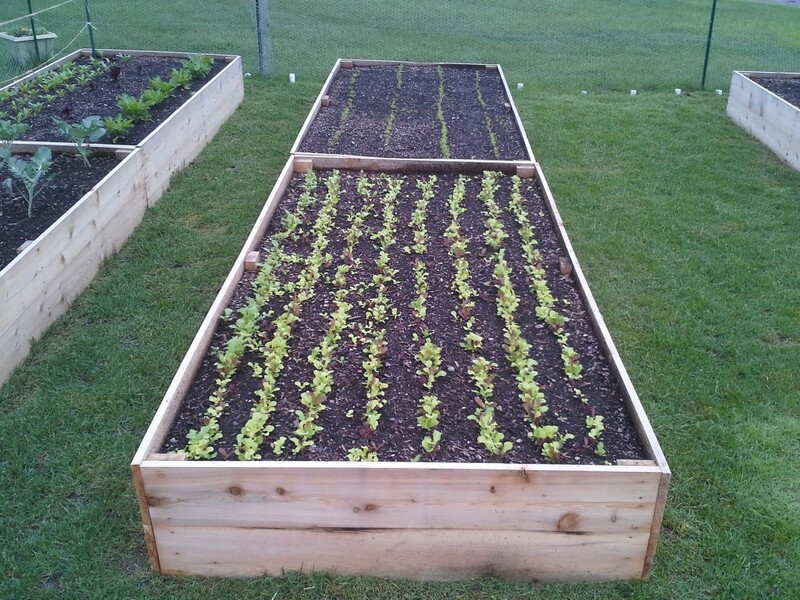 These beds have soak up a lot of rain and will hold moisture really well as things heat up. 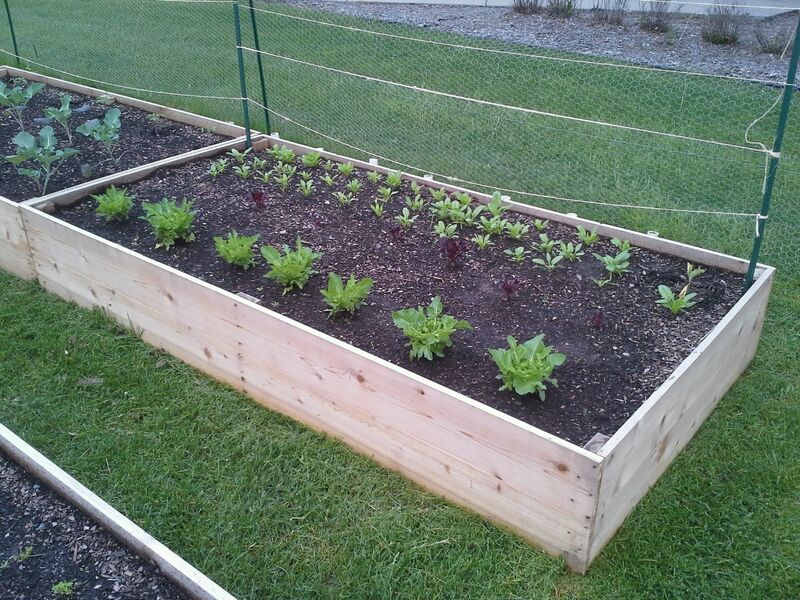 I used Gerten’s premixed garden soil. It was kind of expensive but well worth it. Compaction becomes an issue if the soil is not the right mix. 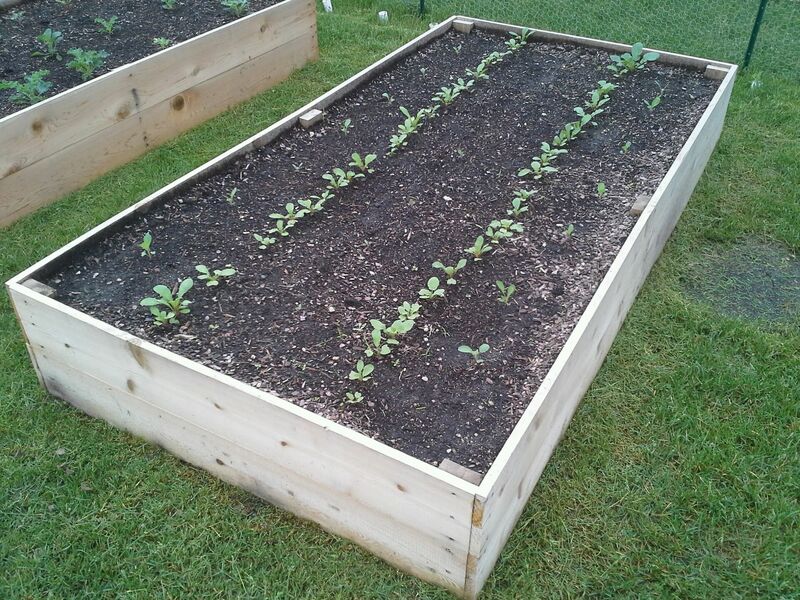 The more defined rows are radishes. On the right, we planted Brussels sprouts. In the middle you can see little romanesco plants. Finally, on the left we have regular cauliflower. Here is some cabbage and spring mix. Once the spring mix bolts, we will plant tomatoes. It seems really late to plant tomatoes, and it is. However, the soil has not warmed up enough to really make a difference. By next week the soil should be good. We are supposed to have some days in the eighties this week. We are also growing potatoes in kiddie pools. This will be real interesting to see what the pools yield. I have already covered them once with more soil. It’s good to let them grow to about 6″ and bury them again. You want to repeat that process 1 or 2 more times after that. 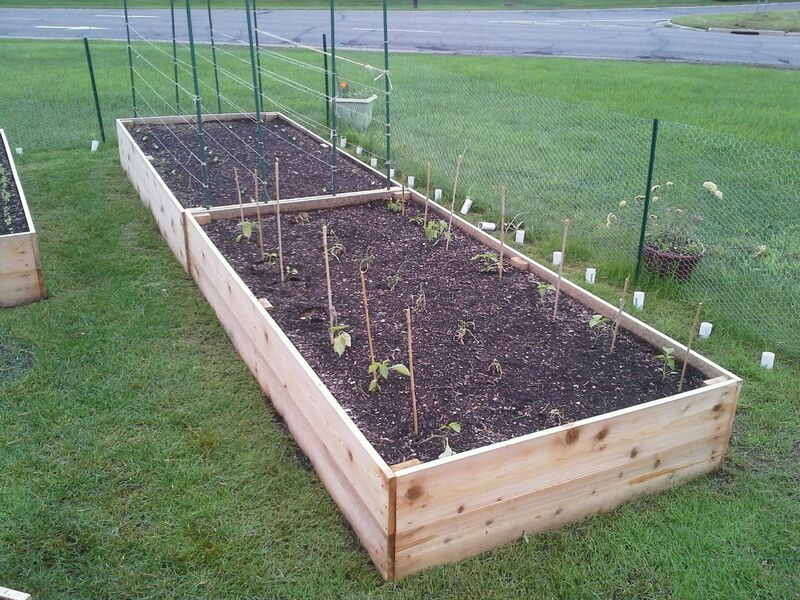 This entry was posted in Jason's Raised Bed Garden by jreese79. Bookmark the permalink.